Row Spacers are used to connect and provide consistent spacing between racks that are placed back to back. Row Spacers also deliver added stability. Row Spacers are bolted on to the frame. It is recommended that you use two row spacers per frame for pallet racking exceeding 6 times the width of the rack. 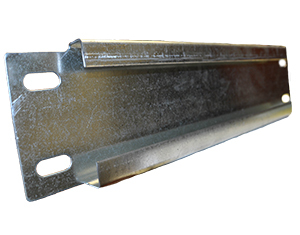 For frames up to 120″ tall, 2 row spacers per frame are required. For uprights 144″ to 216″ tall, 3 spacers are required per upright.